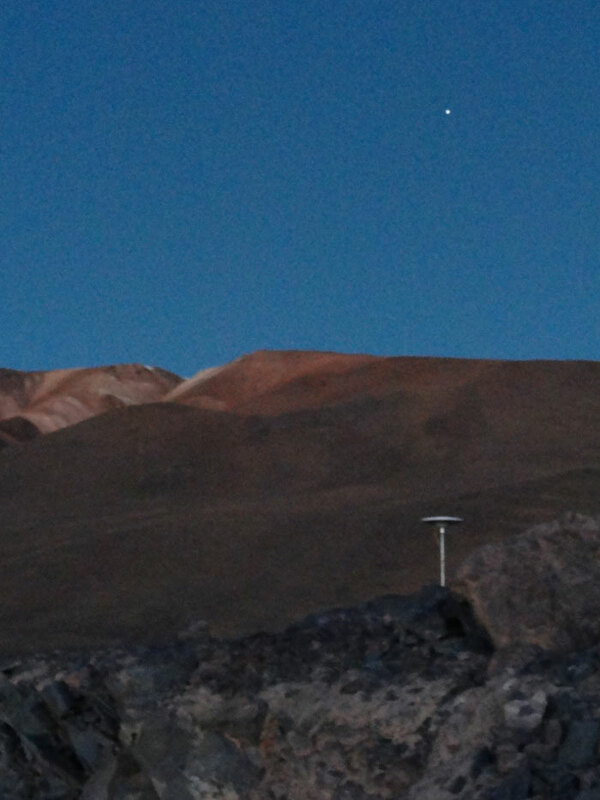 PLUTONS is an integrative geophysical, geochemical, and geomorphological study involving researchers from many US, Canadian, South American, and British institutions. 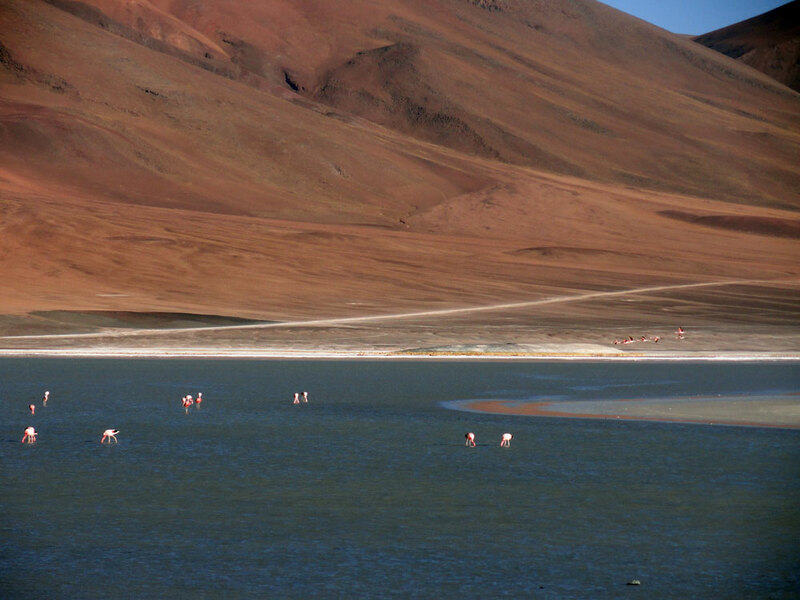 The project aims to uncover evidence for active mid-crustal intrusion and crustal formation at Uturuncu and Lazufre volcanoes, located in the central Andes. This region is significant due to its history of large, caldera-forming eruptions. Researchers are using seismology, magnetotellurics, GPS, InSAR, and gravimetry in order to assess the possibility of another super-eruption and to understand how magma accumulates and erupts in areas of active intrusion and volcanism. Dr. Matt Pritchard from Cornell University is heading up the GPS and InSAR portions of the PLUTONS project. Figure 2. 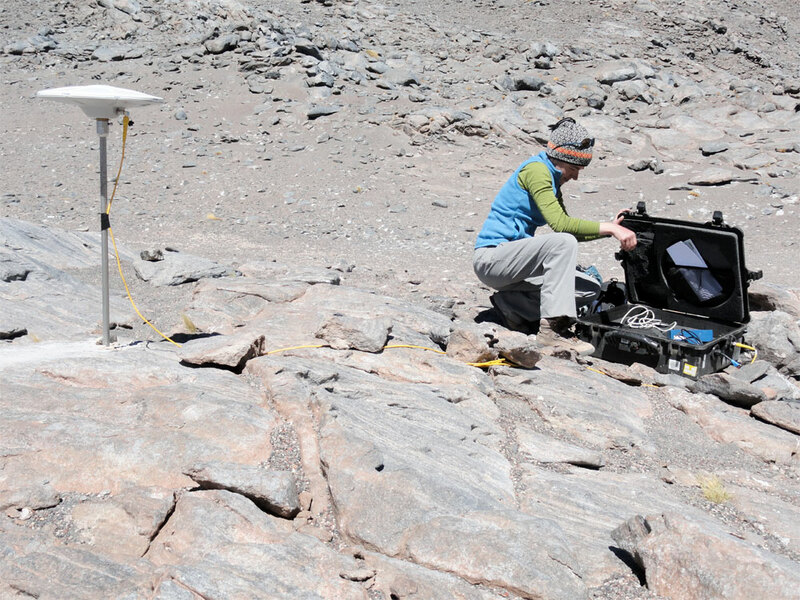 Cornell post doc Julie Elliot checks to make sure the GPS receiver is properly logging data before leaving the equipment at a campaign site for two days. Photo credit Sarah Doelger. Figure 3. 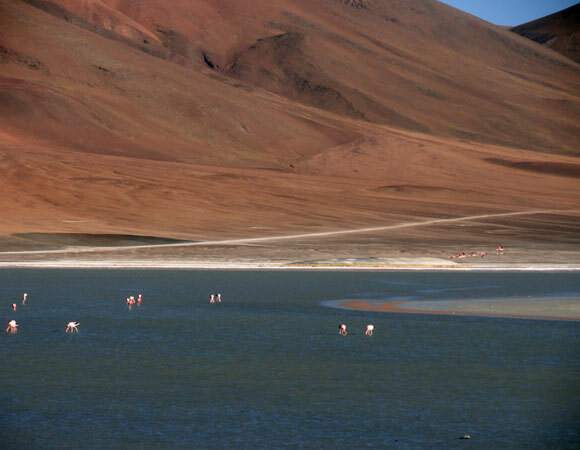 A common sight in the Atacama: flamingos feeding on algae and tiny crustaceans on one of the many salt flats. Photo credit Sarah Doelger. Figure 4. 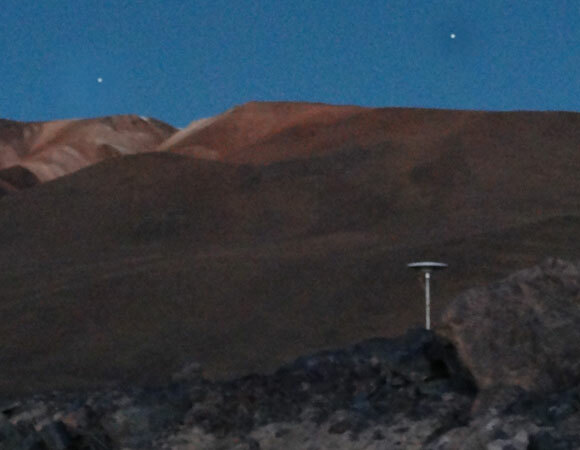 Stars begin to appear over the last campaign station installed of the day. Due to rough terrain and navigation, field personnel typically must compete against the sun to remain on schedule. Photo credit Sarah Doelger. 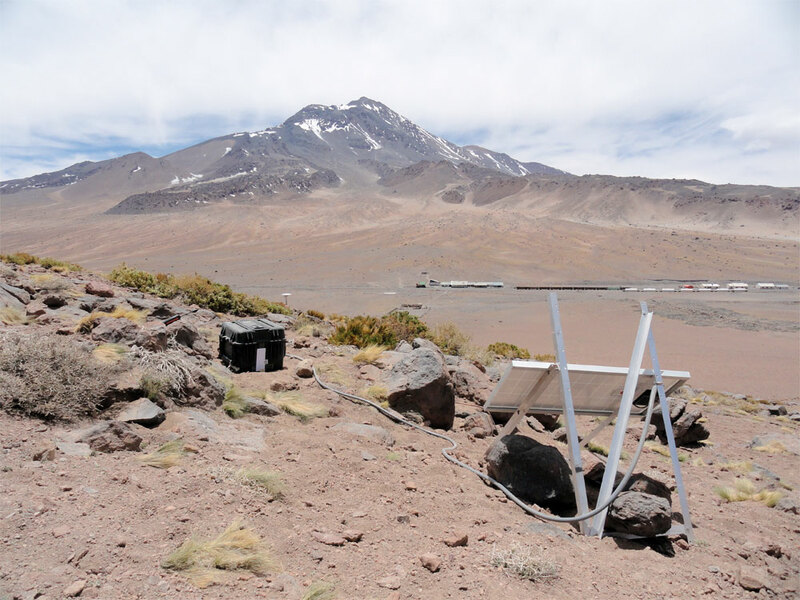 A permanent, three site CGPS network on Lastarria volcano (Chile) was first established in October of 2010 by UNAVCO. Two of the sites remain active while one was vandalized in early 2011. 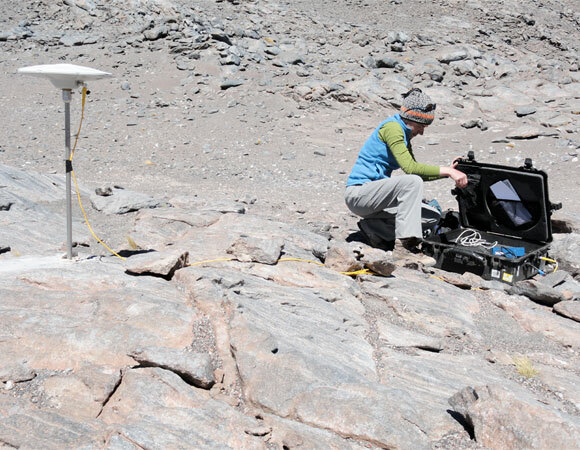 In November of 2011 engineer Sarah Doelger returned to Lastarria to replace the stolen CGPS station and help establish a campaign network on and around the volcano. 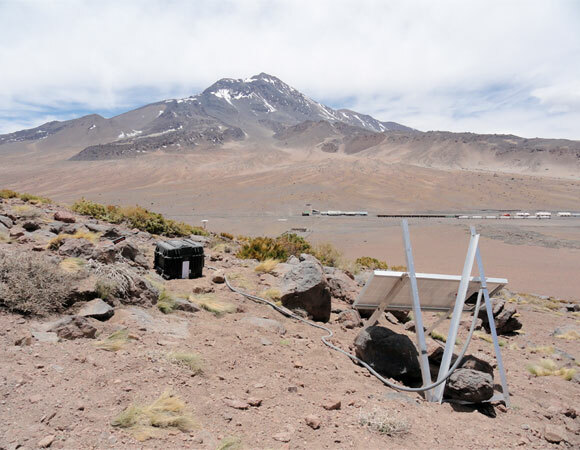 UNAVCO also supported the installation of a three site CGPS network on and around Uturuncu volcano (Bolivia) in April of 2010.